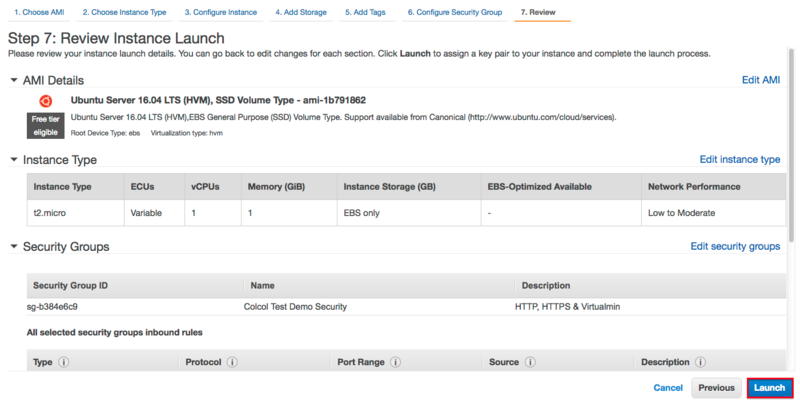 Welcome to Part 2 of Installing Sendy and Virtualmin on Amazon Web Services (AWS). 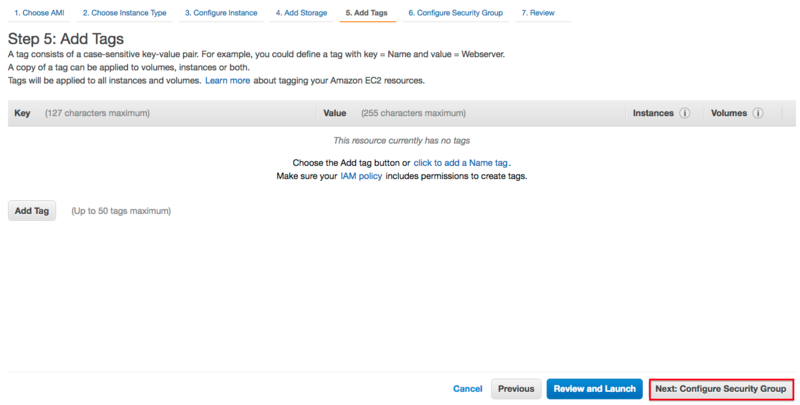 Part 2 involves setting the allocated storage (EBS) of your AWS server. This particular AWS set-up requires a minimum of 8GB and the AWS 12-month FREE tier covers up to 30GB. Please read What AWS Costs for the potential cost implications of allocated server storage (EBS) beyond the FREE tier. Once selected, your allocated server storage (EBS) is not straightforward to change — so please think carefully before creating your server. The server’s ‘LEMP stack’ operating system, Virtualmin software and Sendy software will require approximately 3.25GB, so leaving a minimum of 4.75GB for your Sendy database and other files you may wish to host. You may want to consider whether you could use your AWS server and Virtualmin for other purposes. For example, both can combine to create and host websites powered by WordPress. My AWS server uses 30GB. 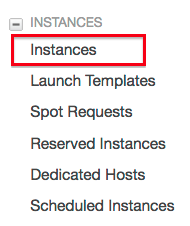 1) If you have just completed Part 1, you should already be logged in to AWS and the EC2 service. Make sure 64-bit (x86) is selected. Then click Select. Make sure you select Ubuntu Server 16.04 LTS (HVM), SSD Volume Type and NOT Ubuntu Server 18.04, Ubuntu Server 14.04 or any other Ubuntu option. 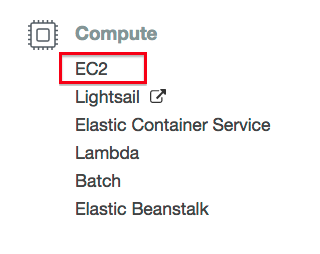 Select t2.micro and click Next: Configure Instance Details. 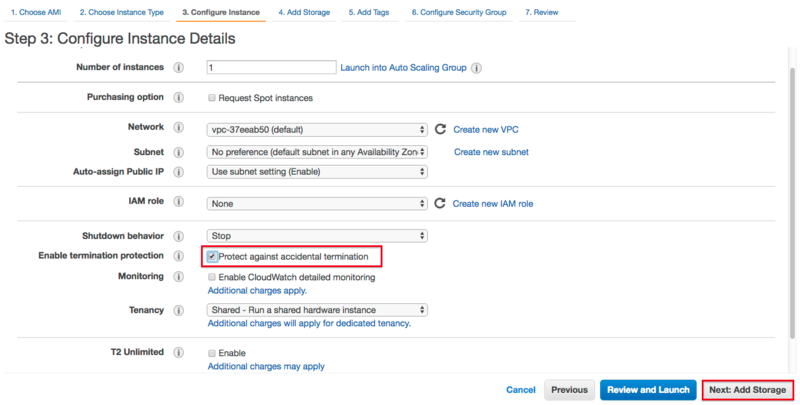 For Enable termination protection, select Protect against accidental termination. The other fields can be left as their defaults. Then click Next: Add Storage. 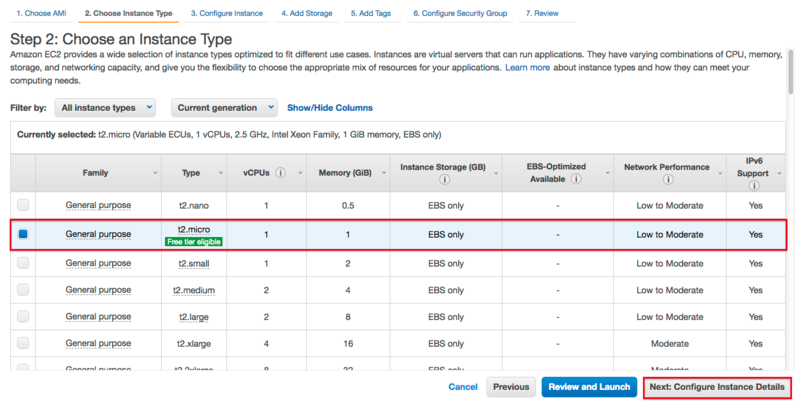 Enter your chosen allocated server storage (EBS) within the Size (GiB) column (see Before You Start above). Volume Type should be set to General Purpose SSD (GP2). Select Delete on Termination if not already set. Then click Next: Add Tags. There is no need to add any tags. 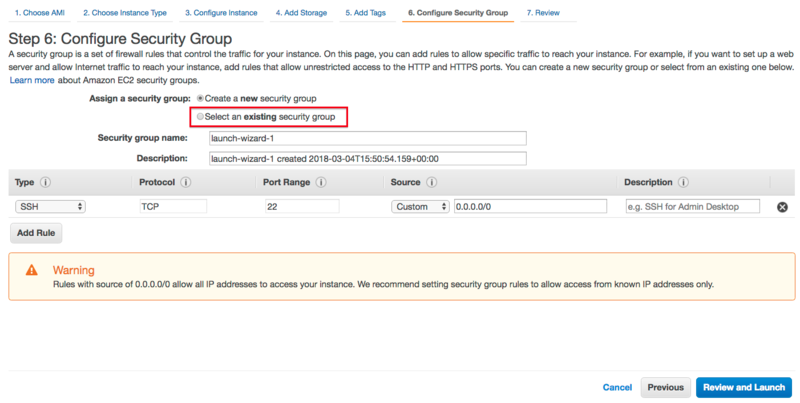 Click Next: Configure Security Group. 9) You will now be asked to Configure Security Group. If need be, click the middle box on the right-hand side to double-check the security group’s rules. Then click Review and Launch. Click Previous if any of the details are wrong, and go back through the same process to correct any errors. 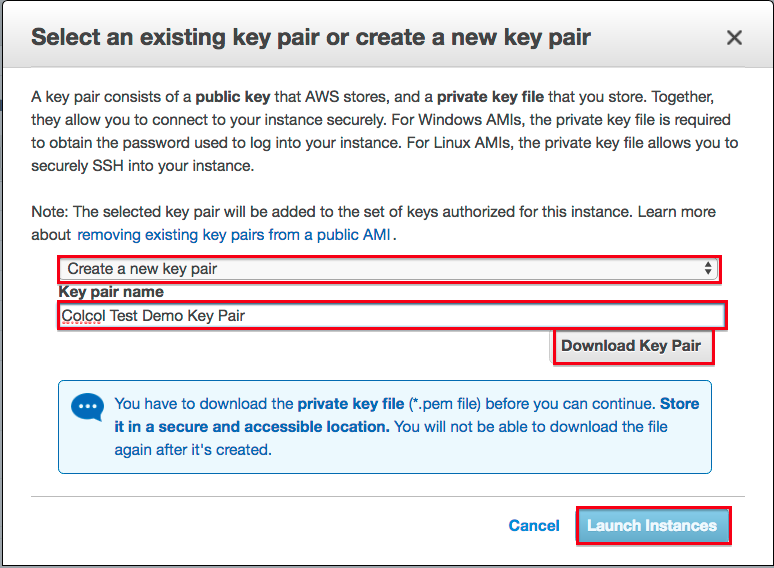 12) You will now be asked to Select an existing key pair or create a new key pair. Enter a key pair name of your choice. For the purposes of this guide, Colcol Test Demo Key Pair has been used. Something like SendyAWSKeyPair will be fine. Then click Download Key Pair. A private key file (*.pem) will then be downloaded to your computer, and will be needed for Part 3. Do not lose this private key file. You will not be able to download the file again after it has been created! 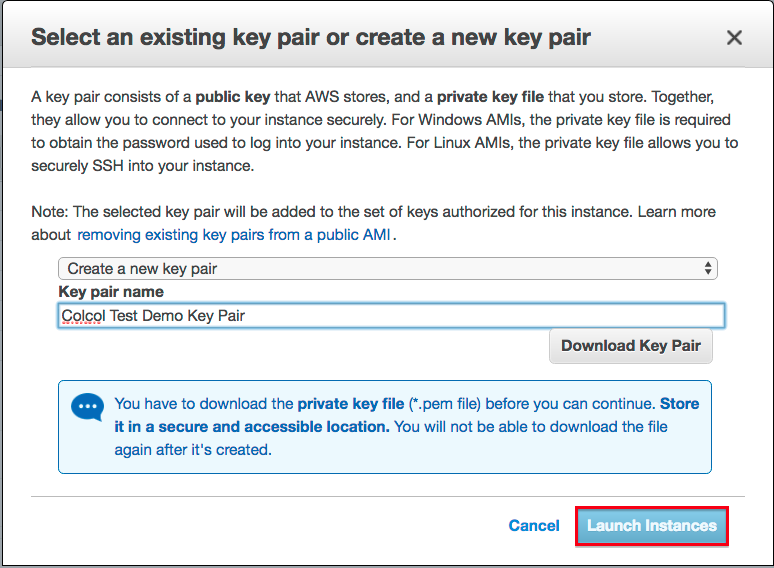 Stay logged into AWS, and click here to start Part 3. 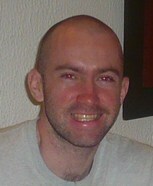 Alternatively, click here to return to the Introduction.